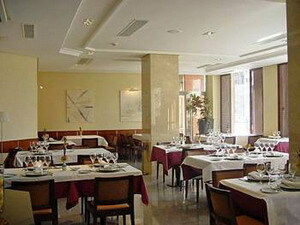 The Hotel Leon Tryp is located in Leon, Spain, one block from the Leon Contemporary Art Museum. 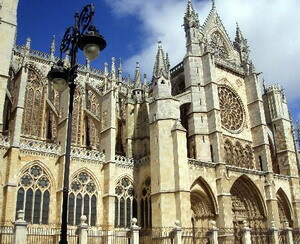 The Cathedral and Espacio Leon Shopping Centre are both around 700 metres away. 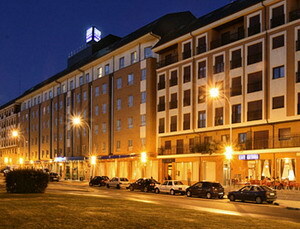 A contemporary red-brick property, Hotel Leon Tryp has a secure parking area with direct access to the lobby. Wireless internet is available in public areas, and there is a concierge service offering assistance with bookings to nearby ski resorts and the Valporquero Caves. 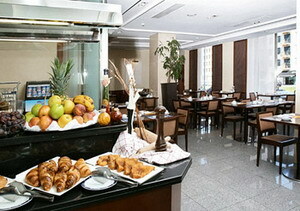 A buffet breakfast is served daily at the Hotel Leon Tryp (surcharge), which also has a separate cafe/bar area serving drinks and snacks. 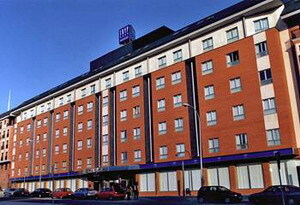 There are six meeting rooms of various sizes, including a banqueting hall seating up to 250. 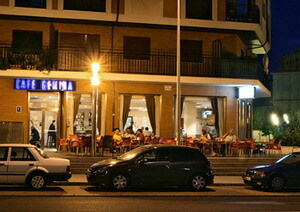 Catering can be provided on request. 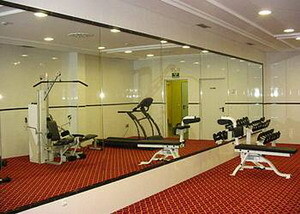 A fitness room offers guests the opportunity to exercise in air-conditioned comfort. 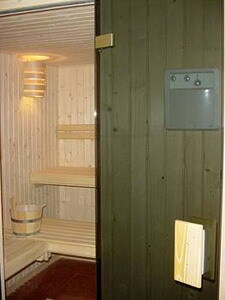 In addition, there is a sauna suite, and also a public swimming pool opposite the hotel. Parents can take advantage of the 'Alone at last' service, where children are entertained with a daily programme of activities. 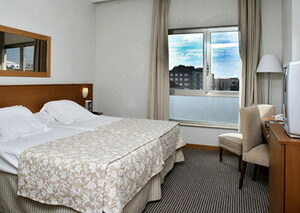 The 127 air-conditioned guestrooms have thick carpets and cherry wood furniture. Bathrooms have large, curved baths set into the floors. 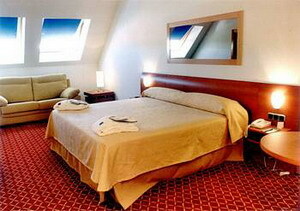 Amenities include satellite television, high-speed internet connections (surcharge), direct-dial phones, and minibars. 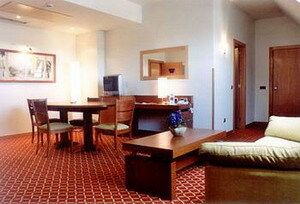 Complimentary newspapers are provided daily.